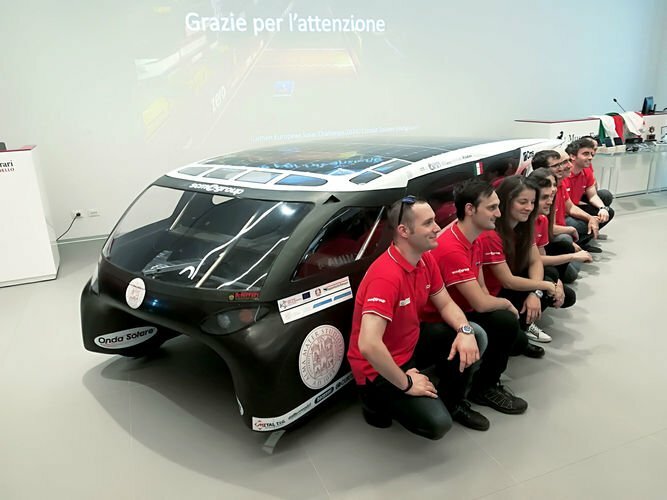 A real 4-seater car, but with an extra “turbo motor”: a solar fuelling and latest-generation high-tech features. 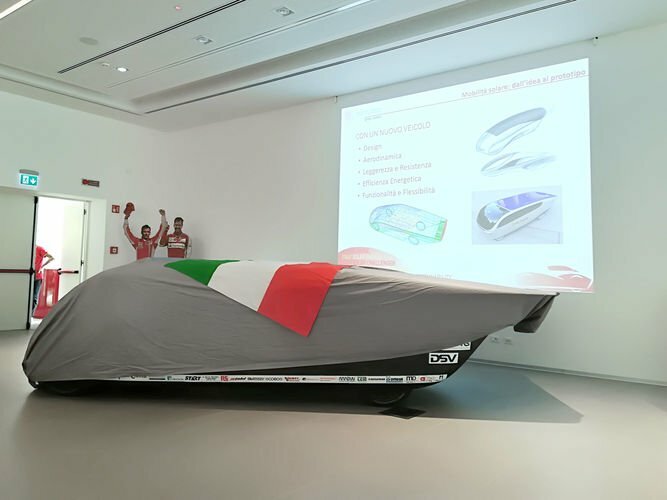 The Emilia 4 was presented on Monday, 11 June, at the Ferrari Museum in Maranello. 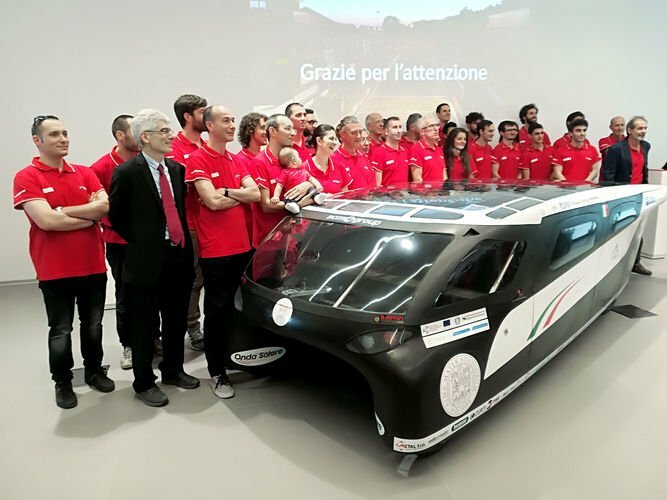 The new car was designed and built by the University of Bologna with Scm Group as part of the “Onda Solare” (Solar Wave) project. 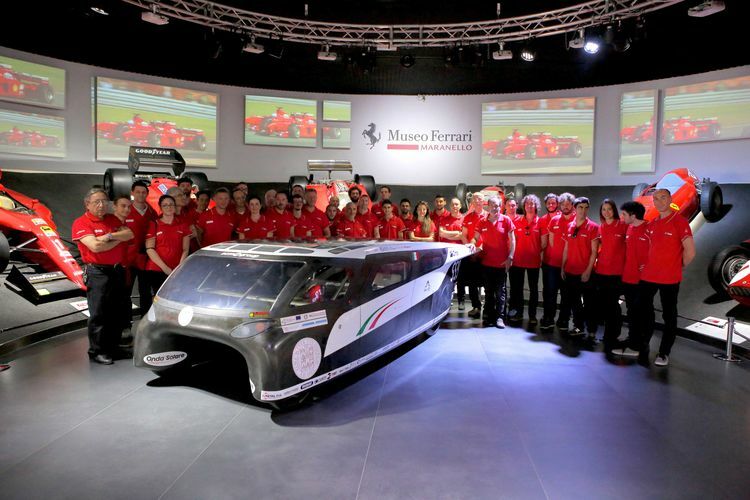 The Italian giant, the world-leading producer of industrial machinery and components, has taken part in this project as technological partner, featuring its CMS Advanced Materials, the Group's division known for its excellence in processing composites and aluminium for the automotive and aerospace industries, among others. Indeed, CMS machines are currently used by some of the world's largest carmakers (FCA, Toyota, Tesla, BMW, Jaguar, Land Rover, etc.) to create their high-precision models and components, as well as by the leading Formula1 teams to create their racecars and carbon fibre parts. In general, the 5-axis CMS machining centres are used in the production of such advanced products as America's Cup sailboats, jet planes that zip across our skies, space shuttles and the most modern airliners. “We took up the Emilia 4 challenge,” added Lucio Giavazzi, CMS Advanced Materials Division Manager, “following our constant and strong interest in research and development. An interest that is demonstrated by the high number of patents registered by CMS and the continuing introduction of new technologies and applications. 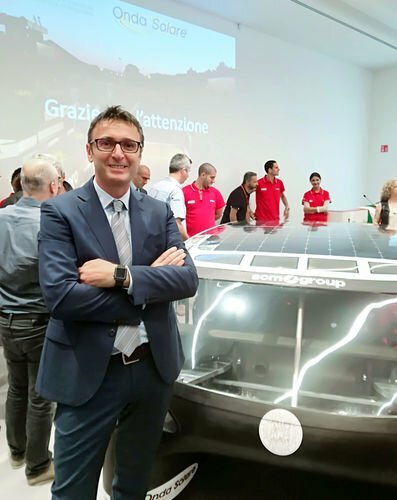 CMS has always been able to offer technical solutions designed specifically for latest generation applications and materials,” concluded Giavazzi. 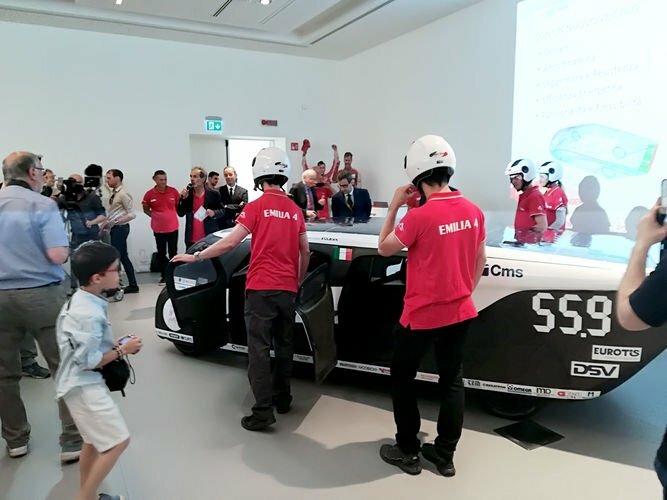 Emilia 4 is a product of an industrial research project financed by the Emilia-Romagna Region with European Regional Development Funds (POR FESR). 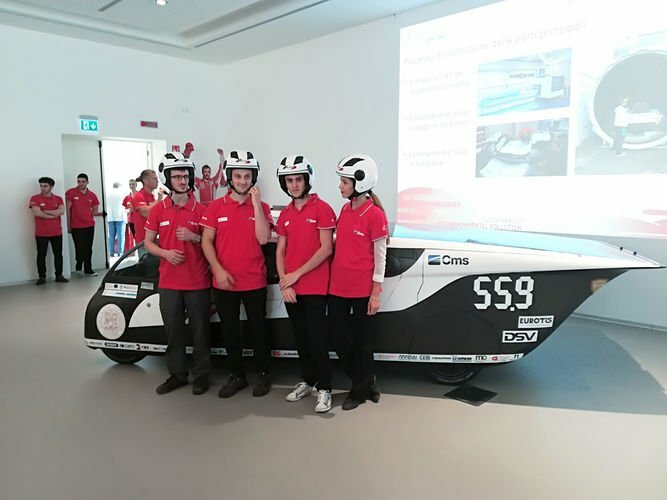 In this project, the University of Bologna has been accompanied by various local institutions and companies, including, besides Scm Group, the CINECA Supercomputing Centre. The development of this futuristic car was based on the use of a series of high-tech features: functional and aerodynamic shape; advanced materials such as carbon fibre laminates and sandwich panels and titanium tubing; innovative solutions for the car suspension and car mechanics in general; electric motors; control electronic systems and a solar panel with a higher than normal efficiency. 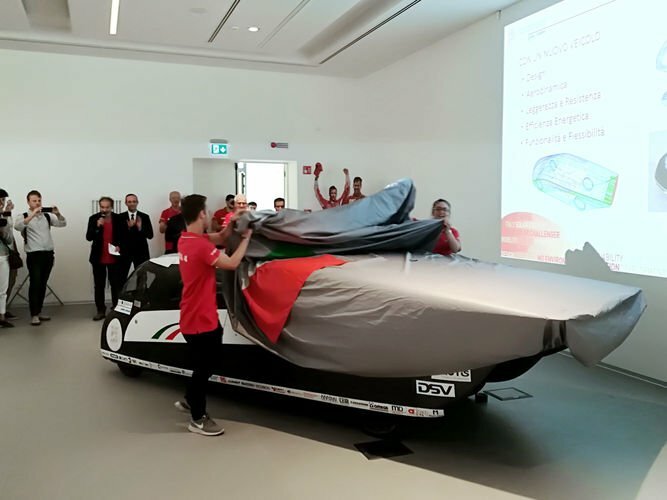 Now that the design and production challenge has been won, the solar car is ready to travel to the United States. In the stars-and-stripes land the car will face its first real test in mid-July: the American Solar Challenge, a 3,000 km multi-leg race, from Nebraska to Oregon along American countryside roads. Emilia 4 will run along the famous Oregon Trail, one of the main emigrant trails in the North American continent, used by settlers, cowboys, miners and businessmen who travelled west. 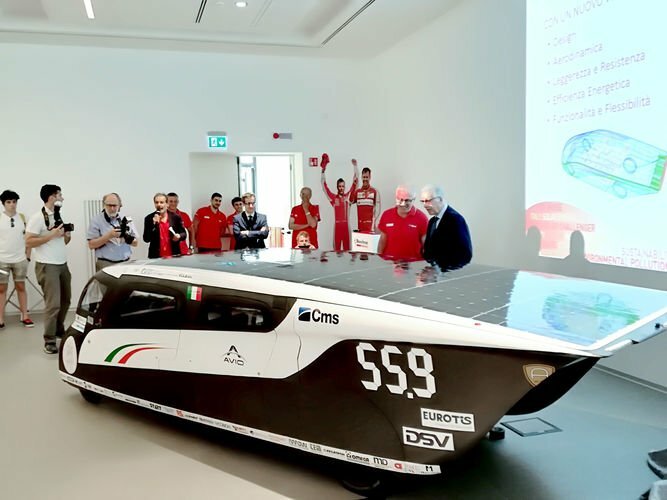 More than twenty teams are to take part in this race, representing the most prestigious universities in the world, with the University of Bologna and its Solar Wave project the only team to represent Europe.